The Chinese-American Planning Council (CPC) and 20 CPC staff and volunteers joined coalition partners APA VOICE and NYCOUNTS 2020 to kick off a Day of Action on April 1st, the one year countdown to Census 2020. The day’s activities included flyering and postering at local businesses and transit stops in Flushing and Sunset Park to raise Census awareness and two press conferences to share knowledge of the importance of the Census in determining congressional representation as well as funding for public resources. To launch the Census Day of Action, CPC was joined by other community-based and advocacy organizations as well as elected officials Congresswoman Grace Meng, Deputy Mayor Phil Thompson, New York City Census Director Julie Menin, Mayor’s Office of Immigrant Affairs Comissioner Bitta Mostofi, Council Members and New York City Council Census Taskforce Co-Chairs Carlos Menchaca and Carlina Rivera, and Council Member Peter Koo. 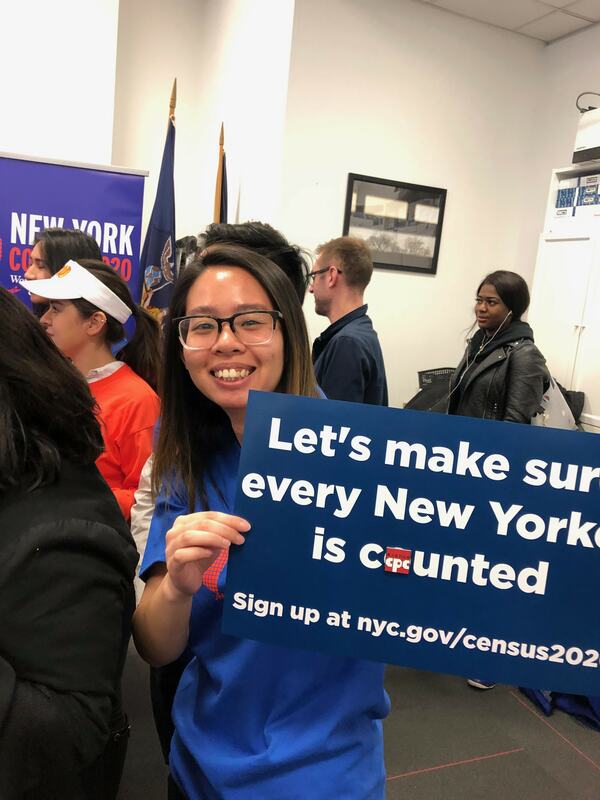 “In the wake of a disappointing underinvestment in Census preparations by New York State, it is critical that all eyes are on the Census 2020 outreach efforts for the next 364 days. While states like California have invested over $90 million, we in New York will be facing the dual challenge of insufficient funding and a growing population of immigrants, many mistrustful of anything having to do with the Federal Government. Our communities cannot afford an undercount, and neither can New York State. With our funding and representation for the next decade at risk, we need all hands on deck to fight for a fair and accurate count,” said Carlyn Cowen, CPC's Chief Policy & Public Affairs Officer. "April 1st marks the one year countdown to Census 2020. 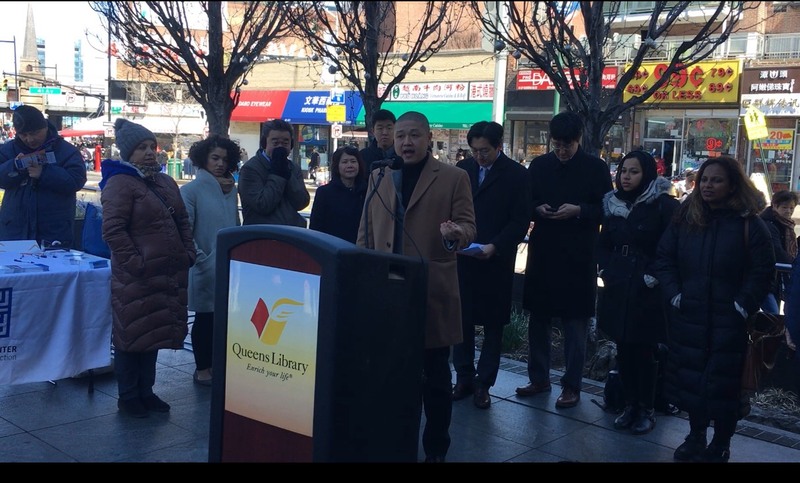 New York has 365 days to remind every person in our state of their civic responsibility to come together to get counted, a task that would be impossible without the committed partnership and coordination of community-based organizations and elected leadership here in Queens," said Mitchel Wu, CPC’s Director of Queens Community Services. "Ten years ago, Queens's population was counted as the slowest growing borough, despite a growing number of homes and apartments. The risk of redistricting and loss of representation cannot be understated for 2020. CPC is proud to kick off today's Census countdown. Between 2000 and 2010, Asian Americans were the fastest growing racial group in the nation. However, without without a fair count, APA communities will continue to struggle for a voice in decision-making. CPC is proud to stand with the APA Complete Count Committee and join the fight for a complete count." "One year from today, every person in our country, regardless of place of birth, immigration status, age, or native language will come together to get counted. CPC is proud to support Census outreach and education, especially in Brooklyn where response rates have traditionally lagged due to fewer committed resources and opportunities to engage the hardest-to-reach New Yorkers," said Steve Mei, CPC’s Director of Brooklyn Community Services. "2020 is also CPC Brooklyn Community Services' 40th birthday. CPC expanded services to this borough in response to a growing Asian American Pacific Islander community. Today, CPC is proud to serve close to 30,000 low-income, immigrant, and AAPI community members in Brooklyn alone. Ever-responsive to emerging community trends, we are proud to kick off today's Census countdown because CPC understands that without accurate, complete data about our communities, we will forever be fighting for the visibility, representation, and influence we deserve."